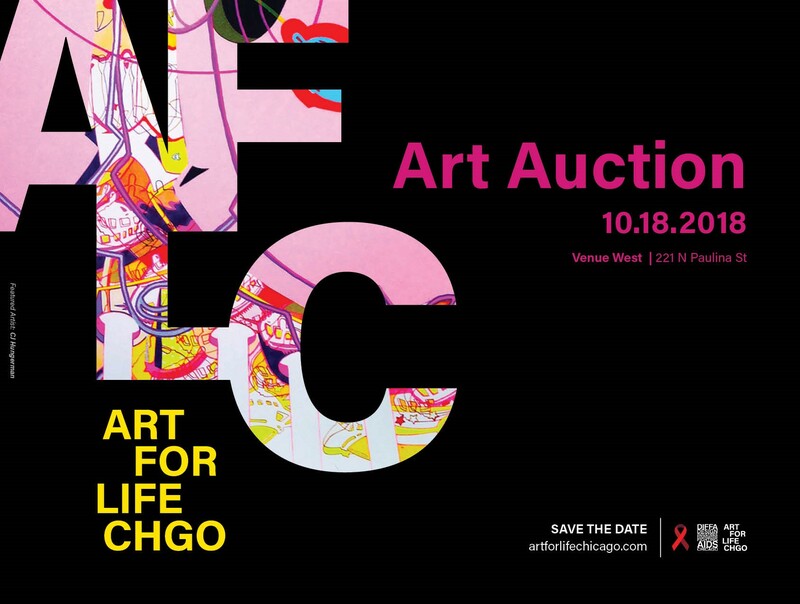 Art For Life Chicago (#ALFChi) is a juried art exhibit and auction showcasing talent of the art world to benefit those living with and vulnerable to HIV/AIDS through donated works from professional and emerging artists and selected by a jury of experts, Thursday, October 18, 2018 at Venue West, Chicago. A VIP Artist Pre-Party is also available on a first to reserve basis. Tickets on sale now! Art For Life Chicago (#ALFChi) is a juried art exhibit and auction showcasing talent of the art world to benefit those living with and vulnerable to HIV/AIDS. Through donated works from professional and emerging artists and selected by a jury of experts, the event provides an opportunity to invest in culture while raising an opportunity to invest in culture while also raising vital funds to help those most impacted by the virus. A signature event of the Design Industries Foundation Fighting AIDs Chicago (DIFFA/Chicago), this collaborative event joins preexisting Art For Life benefits in the United States, and abroad who use art to improve the lives of individuals affected by the serious illness. Art For Life Chicago believes in the power of change through creativity and community, and that the art world can help lead the way to a generation free of HIV/AIDS. Venue West - 221 N. Pauline St. Mingle with the AFLC Co-Chairs, Committee, Jurors and Artists prior to the main event. Available on a first to reserve basis.